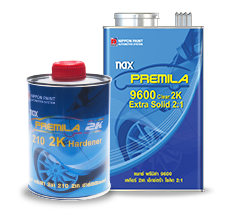 Nax Premila 2K is the complete premium quality refinish system for your car. 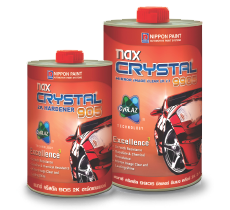 Its flagship topcoat clear, Nax Crystal 9905, gives armour-like protection and a high-gloss mirror shine thanks to our innovative CyGlaz technology. 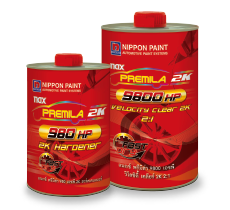 With Nippon Paint’s strong emphasis on Research and Development, Nax Premila delivers leading refinish technology such as CyGlaz, SGO Polymer and Velocity Repair. 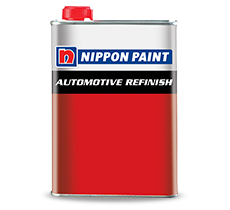 Each boasting its unique features to ensure a high-quality refinish for your vehicle. 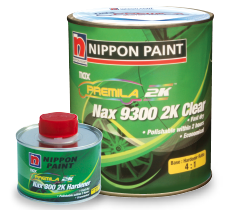 Nax Premila products cover the entire repainting process. With its 2K system that ensures a complete product solution from surface preparation right up to final clear coats. 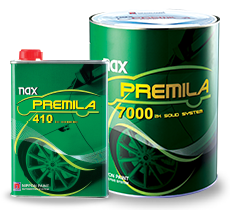 Nax Premila promises the best performance with a high-quality finish. 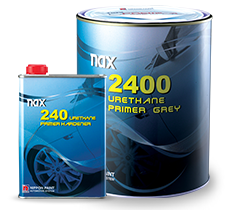 Nax Premila provides your car with perfect colour matching thanks to its wide array of colours and finishes. It gives your vehicle the kind of finish it had when it rolled off the factory floor. 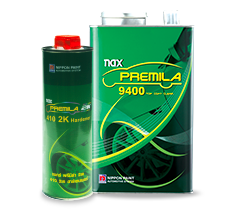 Nax Premila will result in a finish that is identical to the highest OEM standard. 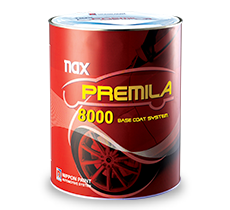 Nax Premila’s specially developed coatings provide aesthetic superiority and protection for enhanced performance and vehicle lifespan. It also boasts excellent durability against harsh weather conditions and chemicals. 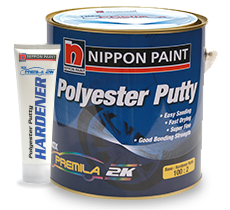 Polyester Putty is used to level irregular surfaces. Followed by layers of primers for smoother application and as a foundation for a longer-lasting topcoat as well as improved adhesion. Certain primers are corrosion resistant. Two-pack fast drying light grey sanding primer filler with excellent application and sanding properties. Due to its fast ambient drying, it helps to reduce process time and provides exceptional enamel hold-out with all Nippon topcoats. Two component isocyanate cure polyurethane primer for all types of refinish topcoat. 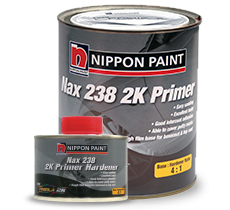 It has an excellent build, sanding property and also gives a film base for an optimum finish. A self healing ,high solid acrylic urethane mirror finish clear based on patented Cyglaz® Technology. It is designed to ensure integrated disparate features like toughness and flexibility into the same molecule, giving greater abrasion resistance and self healing properties. 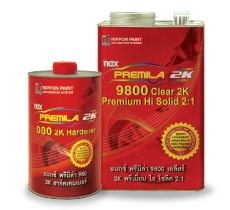 Premium two component hi-solid, high performance acrylic urethane clear. Provides deep gloss/brilliance and protection over different types of base coats. An ultra-fast curing type clear coat for improved productivity and cost reduction. The salient feature of this clear is it�s Ultra High Productivity cycle with a dry to polish time of less than 30 minutes Under ambient conditions (25-30 degree Celsius), avoiding the need for a high temperature baking cycle. High quality extra solid two component acrylic urethane clear. 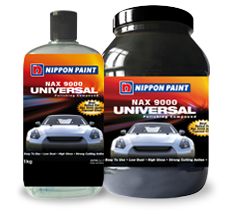 Provides Excellent Gloss and protection over different types of base coats. Ideal clearcoat from spot repair to complete respray, providing excellent chemical resistance and UV protection. High quality medium solid two component acrylic urethane clear. Provides Excellent Gloss and protection over different types of base coats. Ideal clear coat for spot repair. Two pack high grade and High Gloss polyurethane clear coat suitable for touch up or respray of vehicle.